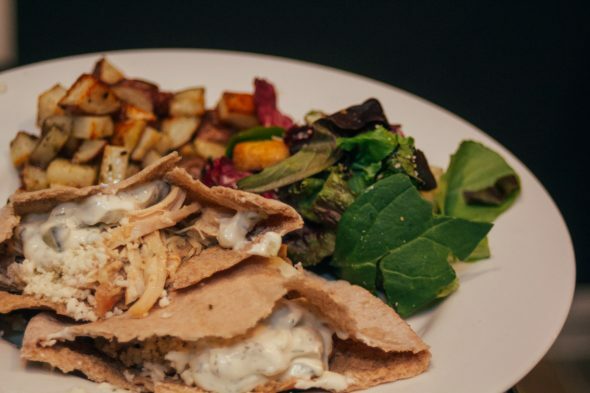 Pita’s are sort of like the euro version of tacos. 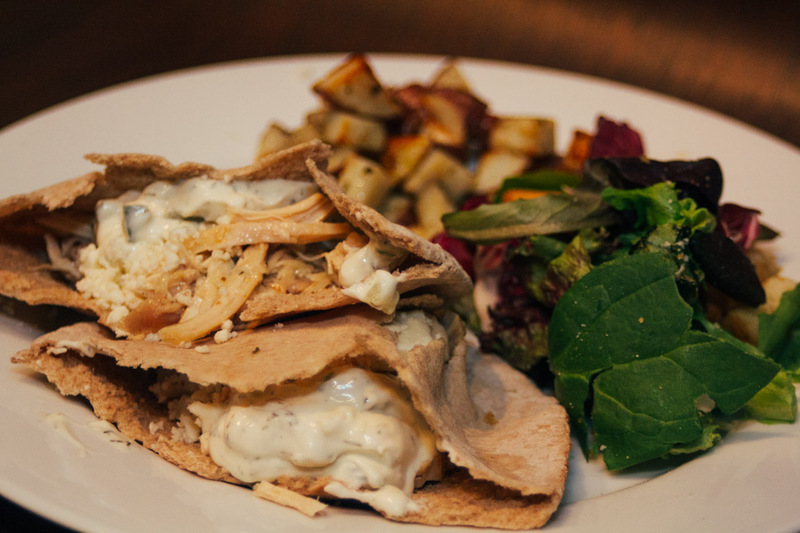 And if you like tacos half as much as we do, you are going to love this Greek Chicken Pita. Chop the potatoes into small pieces, drizzle them in olive oil, sprinkle with salt and Italian Seasonings. Bake in the oven on a cookie sheet / baking sheet for 25-30 minutes (or until golden-brown) at 375 degrees. Take the pre-made salad out of the package it came in; and put it into a bowl (so it looks home made). Shred pieces of your rotisserie chicken and stuff it into a warm pita. 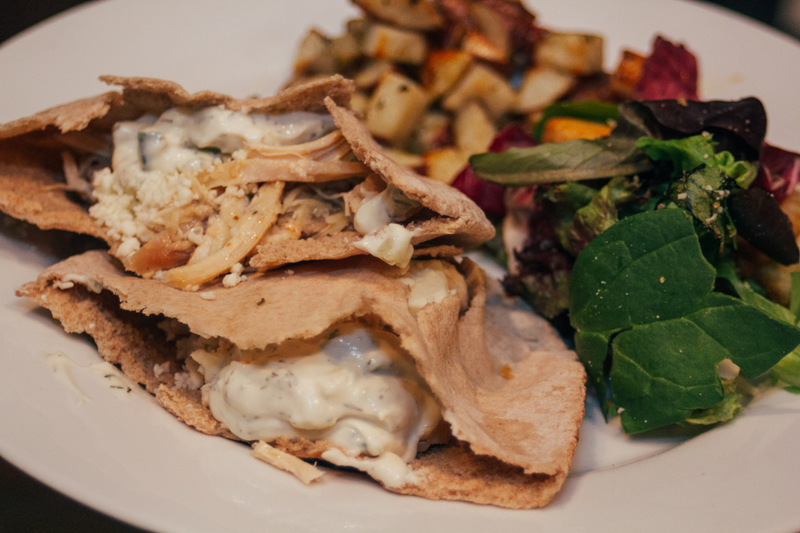 Add cheese, humus, greek yogurt (tzatziki sauce) and some greek dressing into the pita. You can marinate the chicken in the dressing for some added flavor. Toast your pitas in the oven before you stuff them. We hope you enjoy these bachelor cooking recipes. 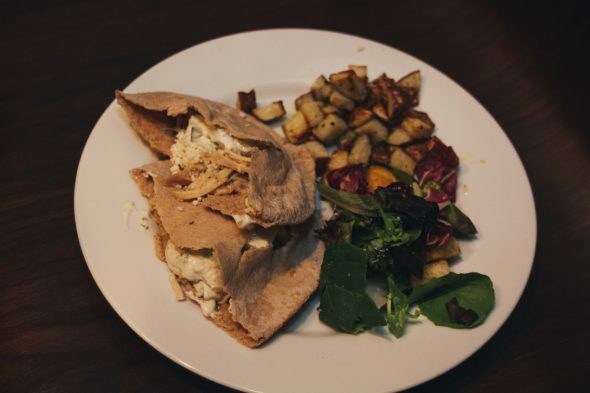 They are kitchen tested and bachelor approved!